Some people may tell you that a migraine is just a normal part of life. Is this true? Absolutely not! 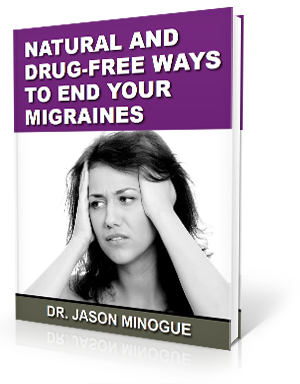 Migraines generally happen because something is causing your brain to work improperly. Usually, this can be related to a change in the flow of blood and cerebral spinal fluid to the brain. What causes this to occur? Many times, a change in blood flow can be due to a misalignment in the upper part of the neck, specifically the upper two vertebrae. The area here is referred to as the upper cervical spine. This can be corrected, but until then, it is important to find out what is causing your migraines and avoid these triggers. One way to do this is to keep a migraine diary. One positive thing to remember is that if there are external factors that are causing your migraine, there are external ways to cure it. This disabling neurological pain can be caused by various components. We will list some of these below. If you keep track of these in your diary, you will begin to see a pattern develop. Keep a food diary. Write down what you ate, what time, how it made you feel, and whether or not it brought on a migraine. Do the same with your activities. When you have a migraine, write down everything that led up to it, such as weather conditions, where you were, what you were doing, and how you slept the night before. This is the first step in starting to heal. What are some common triggers? These are all things to keep track of in your diary. It’s very important to know which of these dietary habits and activities lead to your migraine. Now that you have taken the first step to figuring out your personal migraine triggers, what do you do next? It is a good time to seek out the care of an upper cervical chiropractor, such as Dr. Jason Minogue of Houston, Texas. Dr. Minogue will examine your upper neck for any misalignments that could be the cause of your migraines. Then you can begin healing better.